Pioneer RB-VS1-K CONTROL VINYL FOR REKORDBOX DJ (1 PC) DJParts - All Variety of Parts that DJ Needs. 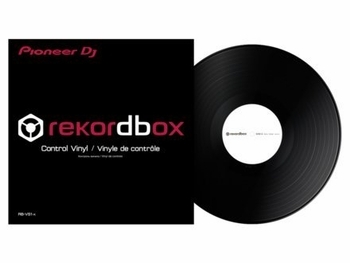 Pioneer RB-VS1-K CONTROL VINYL FOR REKORDBOX DJ (1 PC) RB-VS1-K CONTROL VINYL FOR REKORDBOX DJ (1 PC) The rekordbox Control Vinyl works hand-in-hand with rekordbox dj and the DVS Plus Pack to give you a smooth, low latency scratching experience with excellent sound quality. The lightweight Control Vinyl is highly responsive and will work will all Pioneer DJ DVS compatible mixers and controllers. The RB-VS1-K rekordbox Control Vinyl is sold individually.